Home>Education>Financial Instruments>What is a 401k? 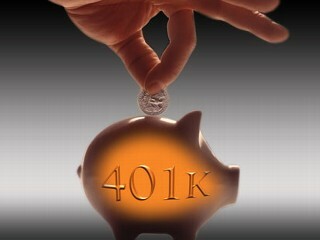 One of the most common investment accounts in use by Americans is the 401k. This is a special type of investment account designed to help workers save for retirement. 401k accounts come with tax advantages, and it’s possible to use them to invest for the future. 1. Traditional: When you contribute to this type of 401k, your money is taken out of your paycheck before anything else, including taxes. These contributions are tax deductible, lowering your income and your tax liability right now. If you contribute money beyond having it taken from your paycheck, you can deduct it from your income when you figure out your taxes. Later, when you withdraw money from your account during retirement, you have to pay taxes on the amount you withdraw. 2. Roth: With a Roth 401k, your contribution comes out after you pay taxes, so it won’t reduce your income right now. However, later on, you don’t have to pay taxes on your withdrawals. A Roth is ideal for those who think taxes will rise before they retire, or who think that they will be in a higher tax bracket during retirement. They pay taxes now, at a lower rate, and avoid the higher taxes later. There is also the option of opening a solo 401k, or a solo Roth 401k, if you are self-employed. It’s important to note that you can’t withdraw money from your 401k whenever you want. You have to wait until you are at least 59, or face a 10% penalty from the IRS for early withdrawal. Additionally, you have to pay income taxes if you withdraw the money early from a traditional 401k. You can borrow from your 401k, but if you don’t repay the loan within a certain period of time, it is viewed as an early withdrawal, and you will have to pay the penalties. If you want more information on the tax implications of the 401k, the IRS offers a number of helpful resources. What Investments Can Be Held in a 401k? In many cases, your employer decides what investments you can choose from for your 401k. Usually, you can choose from individual stocks and bonds, or from various mutual funds (including index funds) and ETFs. If your employer doesn’t offer an investment that you want, you can contact the human resources department to ask that it be added. Remember, though, that your 401k represents an investment account, so there is a risk of loss. However, over time, long-term investing has been one of the best ways to build wealth, and the length of time you hold a 401k account may reduce some of the risk that is due to volatility. Disclosure: We are not tax advisors. This article is not tax advice.